There are a few simple steps required to get you setup to receive access to the private feed. 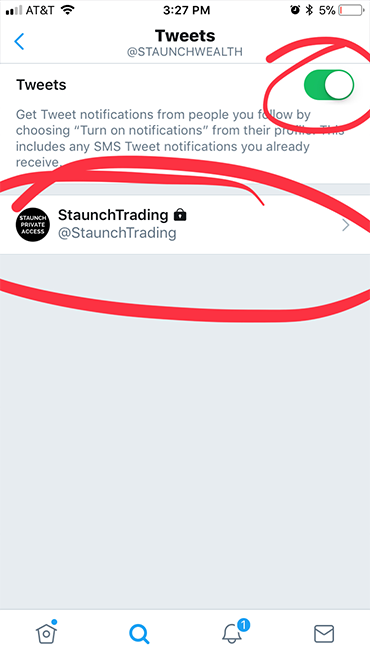 The Staunch trading service is sourced from a private feed. Once you have membership you are required to request access via twitter. 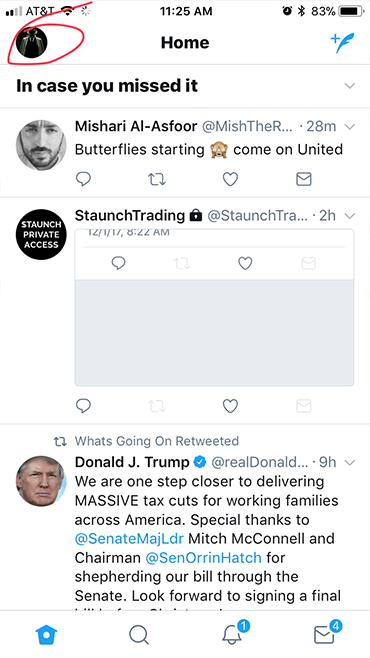 Staunch’s private account is different from his public account. Morning Watch-list will contain option structures Staunch is watching before the market open. There are cases in which the market or stock bias changes and you will see a different entry then the options listed pre-market. We do the best to prepare members but as traders we must adjust to market changes at times during live trading hours. 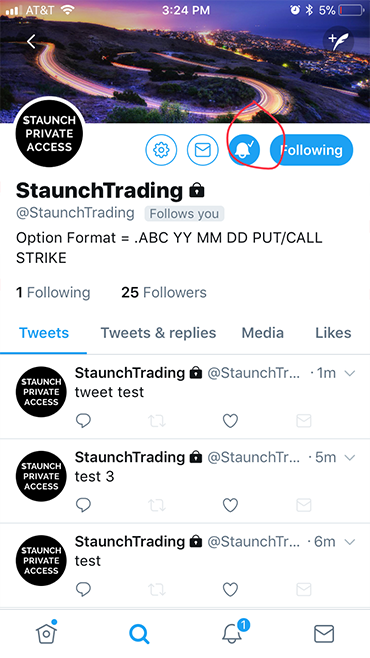 Staunch strives to assist by providing one to two exit points on a trade. The first will be a conservative target/exit and the second will be an aggressive exit, both will be alerted and labeled with “TARGET HIT”. Majority of trades are completed at the first target. After the first target has been hit Staunch will move the “STOP” on the position to near the original “ENTRY” price. When the second target hits the trade is completed. There will only be two exit maximum. Targets / exit points have the ability to change if the team analyzes a better profit scenario or a change in the action. If so, we will provide an update to the private feed. If, when and where a trader exits a position will always be up to their own discretion. Conservative traders may deem it necessary to exit trades early and aggressive traders may find it lucrative to hold and risk a position for a larger reward. Neither are wrong or right, this decision comes down to an individuals risk tolerance and performance goals. Staunch will always look to stop at the stop price listed in the entry trade. There may be times in which a trade exit is made before or after the stop price. Or in some cases the stop price may be adjusted according to trading model. In any of these cases the feed will send a notification providing the update. If, when and where a trader enters a position is always up to each trader's own discretion. Note that the Staunch Model will always look to exit at the listed stop if the trade goes against. Keep in mind the spread in between the stop level and the target price is the trade. 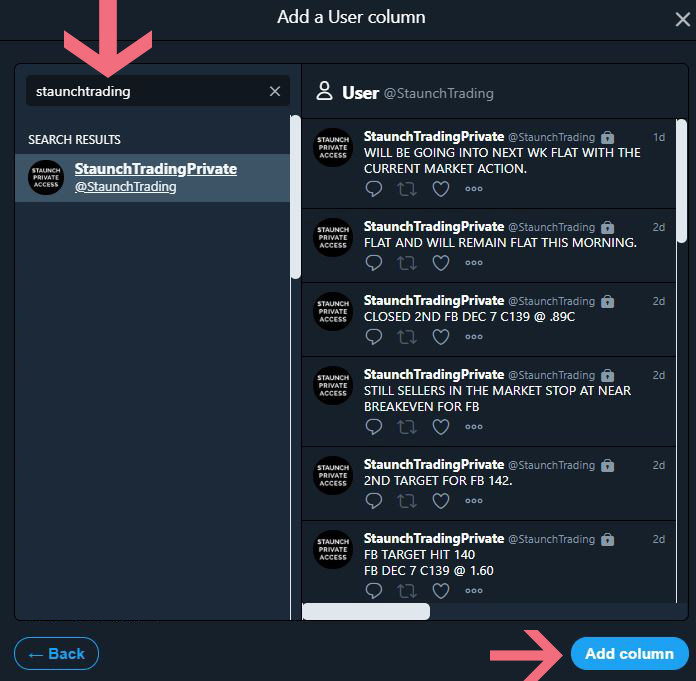 Here is a breakdown of the terminology and flow used in the Trading room and Private twitter feed. Please read all terms. WATCHING: This is a courtesy notification of a potential oncoming trade entry alert. TARGET /TGT : Targets provided are exit points using the stocks underlying price. Intial targets listed with trade entries have the ability to change with the market. CLOSED/ STOP : This is an trade exit alert. Typically this trade exit notification is used when trader closes out trade early or the stop on the trade has been hit. This will always be a full exit. 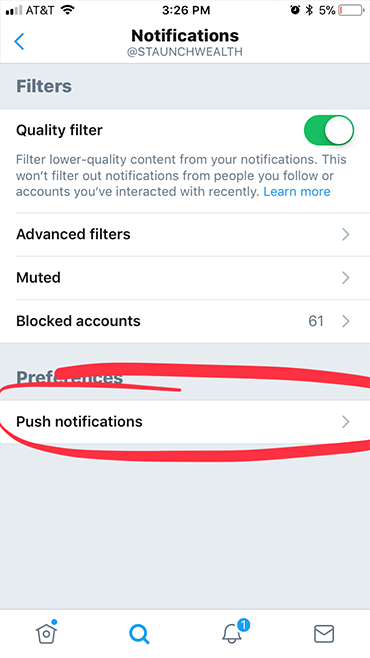 Staunch must approve your access to the private feed before setting up one of the delivery notification methods below. The twitter platform is a powerful tool in providing information instantaneously. 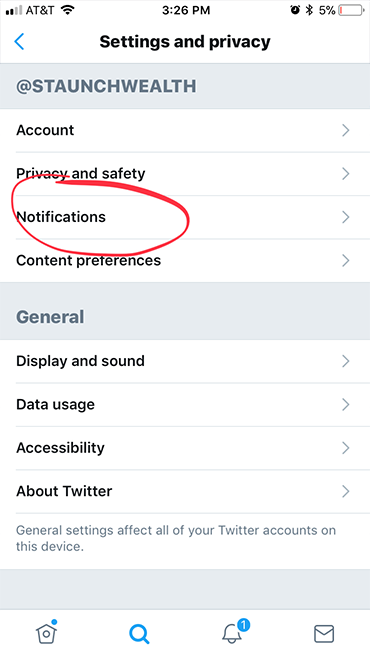 There are two recommended ways to get notified automatically of our private feed updates. 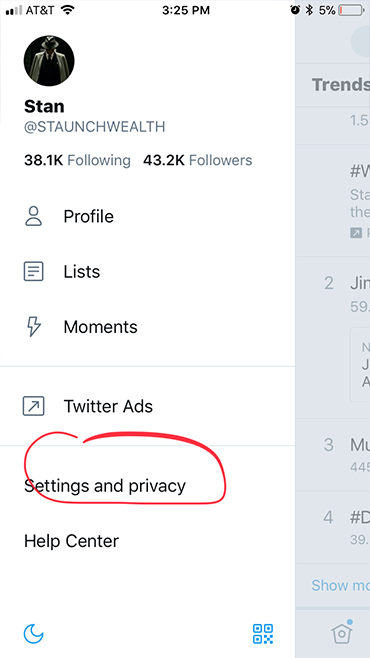 Visit your own Twitter Settings page. Look for the area labeled Text notifications. 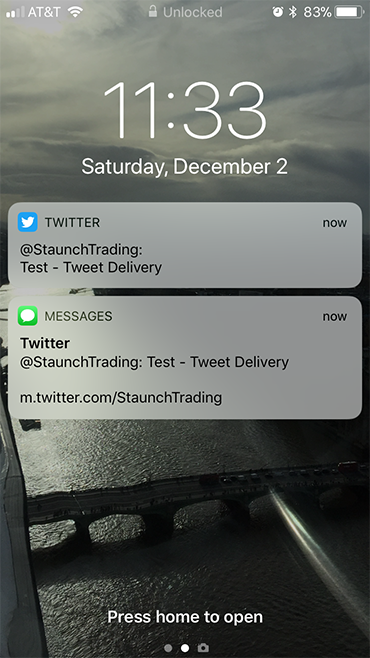 Check the box for Tweets from people you’ve enabled for mobile notifications (@StaunchTrading)to receive text message notifications any time a specific person Tweets. Visit the profile page or click on the username of the user whose updates you want to receive via SMS (try typing https://twitter.com/username in your browser’s URL bar, or click through from your following page). Click the person icon on the user’s profile and select Turn on mobile notifications from the drop-down menu. 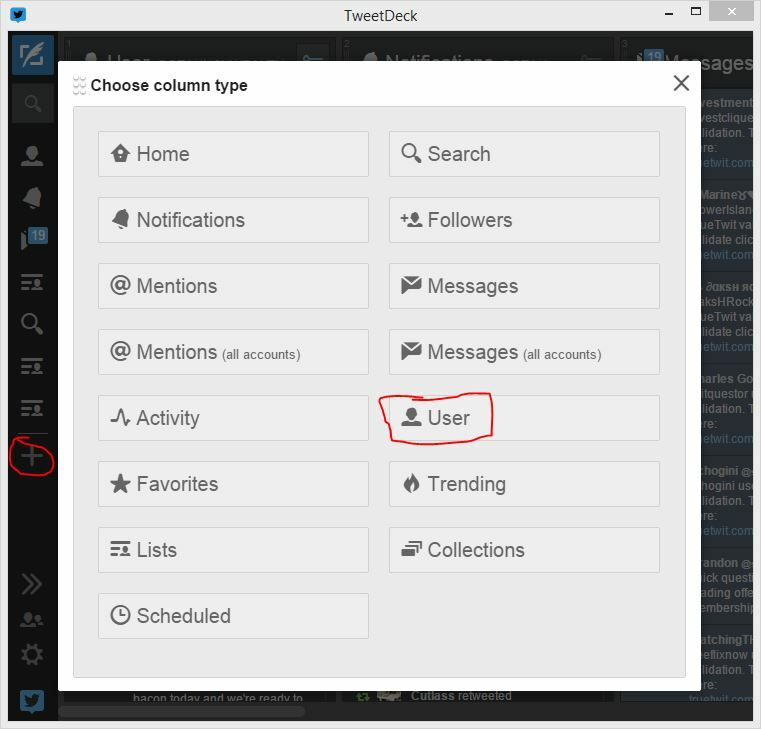 TweetDeck updates our tweets in real time with sound and pop up without having you to refresh twitter page constantly. The application also allows you receive sound and popups automatically on your desktop for our private twitter. Visit and install TweetDeck website https://tweetdeck.twitter.com/. It works with all browsers Chrome, Firefox, Internet explorer and Safari. Step 4 > Check the enable sounds and Enable desktop Notification. And choose a preview size. 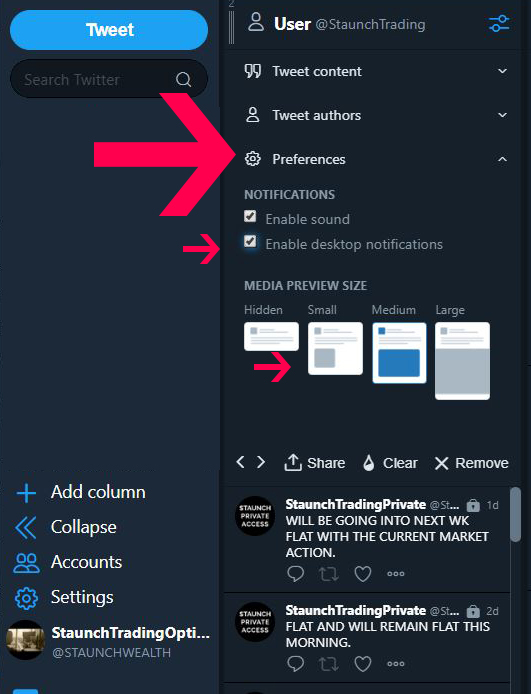 FINISHED Now just have tweetdeck up and running during the trading day and you will get notified via sound and pop ups in real time from our private feed.